If you are looking for the best media player for your PC then you can choose any of them (mentioned below) according to your need. The most important thing that we must keep in mind before selecting the best media player for our PC is about its features. We must check whether the media player supports all audio-video formats or not. And also you can check about its interface, because if it doesn’t look like perfect then gives a bore feel after some time. Overall, if a media player offers all those above mentioned features then we can say that, this media player will be right choice for our PC. Here we are discussing the top 10 best media player for PC, which helps a lot in choosing the best one for you. First of all, we must take a look over the features and functions of these top 10 media players. The no. 1 media player among the list is KM Player. This KM Player is one of the best media players for playing both audio and video files. It supports almost all the formats whether it is VCD, DVD, AVI, MKV, Ogg, OGM, 3GP, MPEG-1/2/4, WMV, Real Media, and QuickTime etc. It gives a seamless run to every video/audio files. 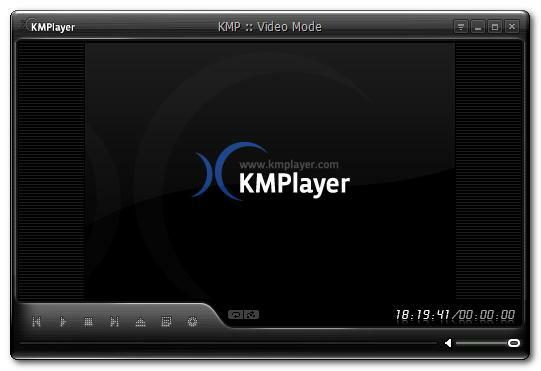 This KM player comes with many option which let you to adjust video and audio according to your need. Some common adjustments which we generally use are equalizer, Subtitles, audio settings, Video settings, 3D Surround sound, Audio/video Synchronization. Overall, you will get a perfect combination of highly responsive features with fabulous interface with this KM Player. Another best player for your system is M Player. Basically, this M Player is a command line Video/Audio player. Now, you will think that what this command line video/Audio Player means and how it works. First of all, it doesn’t have any graphical user interface. It plays all your video/Audio files by just dragging and dropping that file on the M Player executable file. The codec files that reside inside the folder allow playing that Video/Audio files. The best part of this player is it can play all types of media formats. But the worst part is that it is very much complex in use. The developer of M Player recently developed a GUI for windows, so it’s little bit easy than earlier to use M Player. VLC Media Player is the widely used media player among the PC users. This media player is widely used because of its lightness, easy to use, high performance, Great GUI. You can enjoy lots of audio and video formats in this VLC media player such that MPEG-1, MPEG-2, MPEG-4, DivX, mp3, ogg, and many more. It can be also used for playing DVDs and VCDs. VLC also streams online videos. The most interesting feature of the VLC media player is its sound system. It provides an extra sound to your video or audio file. But there is also a limitation of this extra sound as if you are using VLC in laptop. Then avoid its extra sound feature, if you will not do so then it may be able to damage the speakers of your laptop. Overall, this VLC media player will be the best media player if you use it carefully. VLC Media Player is fully free for use, you can just download it from its official website and use in your PC after installing. The fourth best media player in the list is Media player classic. This media player comes with a very simple interface. You may think that this media player won’t work better because of its simplicity. But don’t go with its simplicity, it has lots of feature that will make you feel better while playing video/audio files. It supports many media formats. The installation of this software is very much easy but you need to install its all codec to use it fluently. GOM Player is another great player which comes at fifth position in the list. It has lots of features for playing all types of audio/video files. It supports almost all formats except few. The most important feature of this player is its capability of playing damaged or incomplete AVI files. It just skips that damaged frames and continues playing. Installation of this player is so easy and you won’t need any third party software. Another player with lots of fantastic features, JET Audio. It plays both audio/video media. This JET Audio player can be used for burning CDs, Converting Audios and recording purpose. Not only this, you can even broadcast your music over the internet. This player comes with many skins, so you can choose of your choice. Installation of this player is also very easy. The next player in the list is AIMP2 player. This player is great for playing audio files only. The interface of this player is somehow similar to winamp, but consist lots of extra feature than winamp. You can install this player in few simple steps. Easy to use. BS player is another best player for playing audio/video files. This player comes with some great configuration which plays your video files much better specially when you are playing a Video file like subtitle synchronisation. BS Player is free and easy to use. This media player is the best for playing audio files. 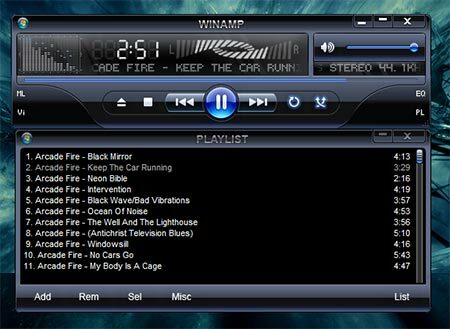 Winamp comes with great responsive features for playing audio files. It has simple interface and is light in size. The latest version of this player allows playing video files even. Basically, you can say that this SM Player is an improved version of M Player. It comes with all feature of M Player from command lines to a graphical user interface. This SM Player is easy to install than its older version. SM Player is 100% free.